It would be great if some of you could come along and support this auction in support of the local CRUSE group. There’s still time left to donate some art too, yo’ve got until Saturday. 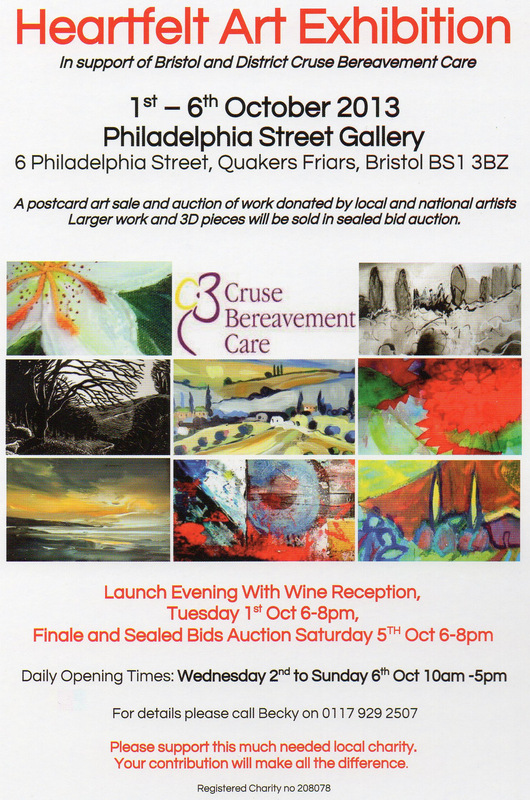 It will kick off with a wine reception in the Philadelphia St (Antlers) Gallery in the centre of Bristol near Harvey Nicks on Tuesday 1st of October. This entry was posted in Uncategorized by ianpriceart. Bookmark the permalink.